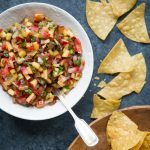 Try something new and make this delicious, Tamarillo Mango Salsa, instead of classic tomato salsa! Add a splash of lemon or lime and a sprinkle of your favourite herbs to make it your own! 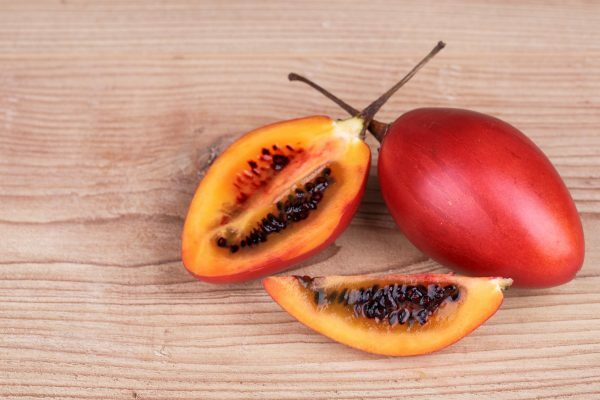 Wash and remove skin from tamarillo. Either peel it like an apple, scoop the flesh out of a halved fruit using a spoon. Take care to remove all of the skin and flesh immediately touching it as they taste very bitter and are not palatable. 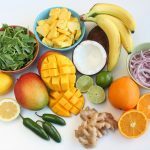 Dice the fruit into small or bite-sized pieces. 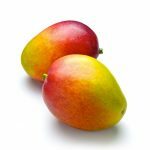 Wash, peel and pit the mango. Cut into similar sized pieces to the tamarillo. 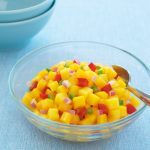 Blend fruit and onion in a bowl, add lemon or lime juice and sprinkle with herbs. If tart, try sweetening with honey. 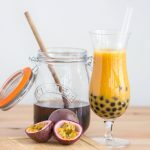 Enjoy with cheese, on chicken or with white fish.